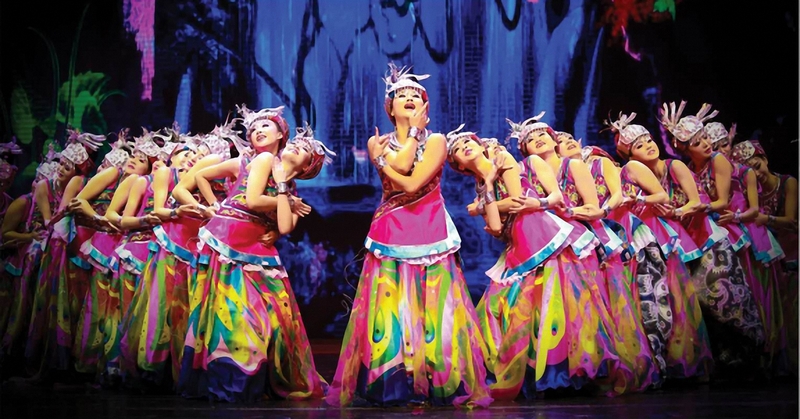 Ancient Chinese civilisations will come to life in a whirl of colour and pageantry when a visiting delegation of performers showcases traditional Chinese culture and arts at next month's Sydney Lunar Festival. 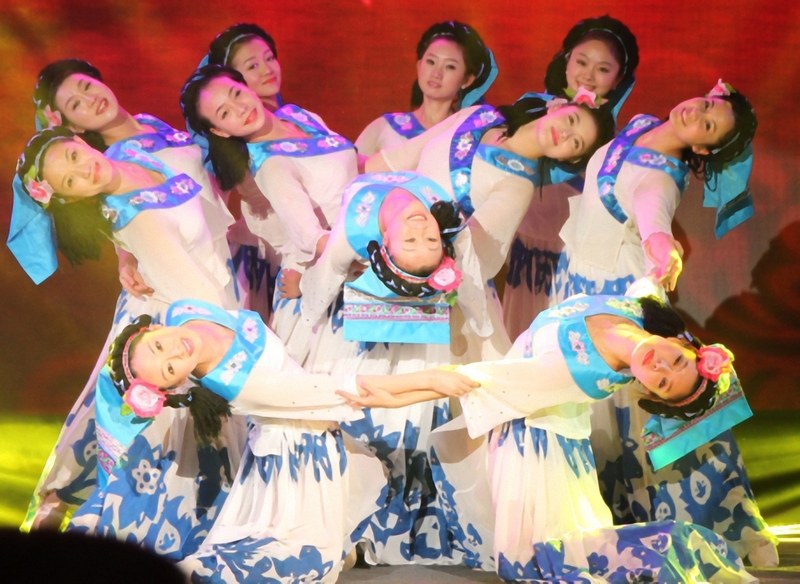 A troupe of 30 performers from Guizhou Province will entertain crowds with visual and musical delights on Saturday 9 February in Dixon Street Mall, Chinatown. Organised by the China Cultural Centre for the City of Sydney's annual festival, the performers will share centuries-old stories through martial arts, opera, folk music and acrobatics. Home to sheer limestone peaks, dramatic gorges and cascading waterfalls, Guizhou Province in south-western China is known for its spectacular natural beauty and traditional rural villages, inhabited by minority groups including the Miao, Buyi, Shui, Dong and Yi. Lord Mayor Clover Moore said the City was proud to welcome the Guizhou Province guests to Sydney to celebrate the new Lunar Year by sharing their cultural heritage and unique traditions. "Each year our Sydney community and visitors alike are delighted by the performances from our visiting delegations, who join us to take part in the biggest celebration of the Lunar New Year outside Asia. "This spectacular display of Guizhou culture will be a highlight of the festival," the Lord Mayor said. 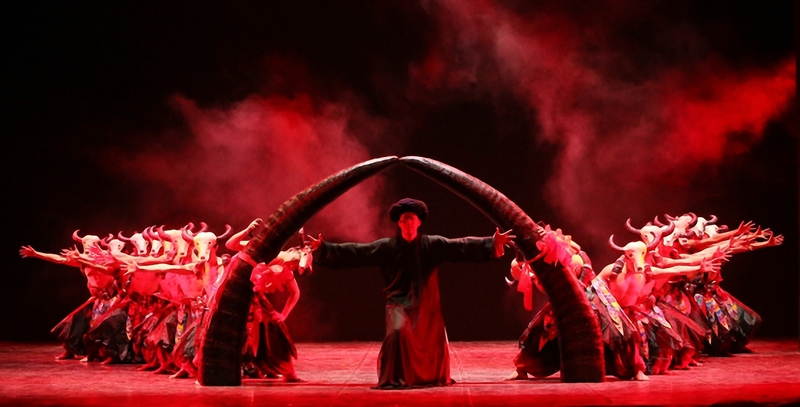 Guiyuan Pei, leader of the Guizhou Performance & Arts Group, says each group reflects their relationship with nature in different ways through their traditional performances. "There is a Chinese saying that describes the uniqueness of Guizhou: 'A different sky every 10 miles, and different customs even within one mountain'," Guiyuan Pei said. "Guizhou has given birth to many rare cultural heritage gems that we're pleased to share around the world." While donning their most spectacular headdresses, embroidered traditional costumes and silver ornaments, performers will tell stories of their connection to nature and re-enact ancient tales of heroes and their revolutionary deeds. Performances include the Buyi song Red Flowers, a familiar tune that is sung by people when they are working in a rice field. The song conveys the beautiful landscape of Guizhou as the morning mist rises across the valley. The Miao group's dance performance Butterfly Mama reflects the ancestral totem of the butterfly which blesses the Miao people like a mother. The performance of dancing butterflies is a wish for a happy life. 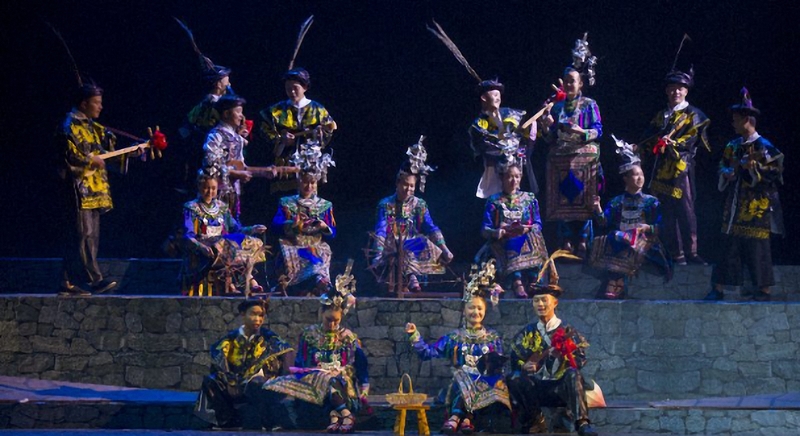 The Yi group brings a spectacular display of costume and dance as they depict the story of the 1,500-year-old Tusi dynasty of Shuixi Yi people. Dressed in fire-inspired costumes, the performers use their enthusiasm to symbolise men's fortitude and power and women's shyness and femininity. The more contemporary juggling performance Devil Stick and acrobatics performances will also wow audiences as performers lift, throw and somersault objects and themselves in the air to reflect hope thrown into the world for Guizhou's future.